Materials chemistry by design is the rational prediction and creation of functional materials with defined properties. Its goal is to meet current and future societal needs for better or more complex materials, from biocompatible materials in medicine to lightweight alloys for space applications and energy generation, storage, and transport. Unfortunately materials chemistry has lagged other sub-fields in an extremely critical area: the ability to selectively make and break bonds in the solid state. This is due to limited synthetic methodology and method development. 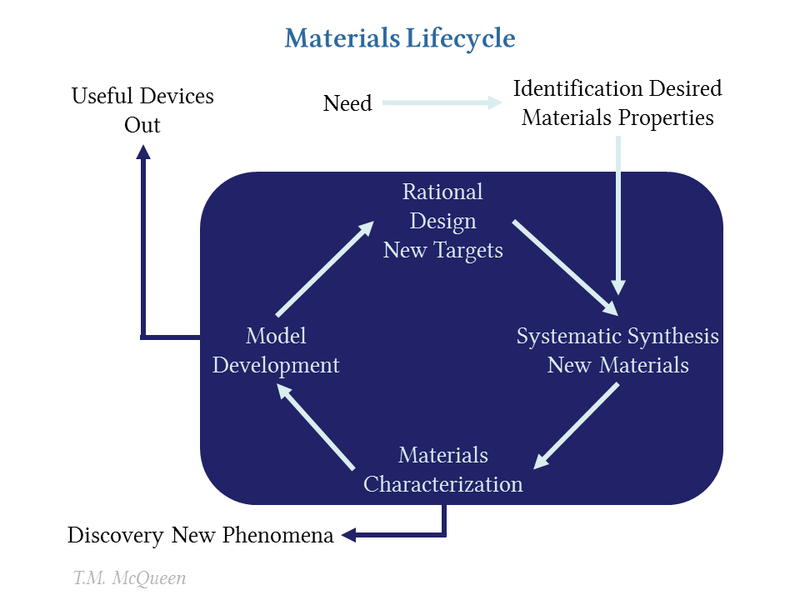 True materials by design cannot be achieved until reliable synthetic capabilities are developed that can actually produce the specified materials. The goal of the McQueen laboratory is to address this deficiency by redefining the landscape of synthetic capabilities in the solid state. 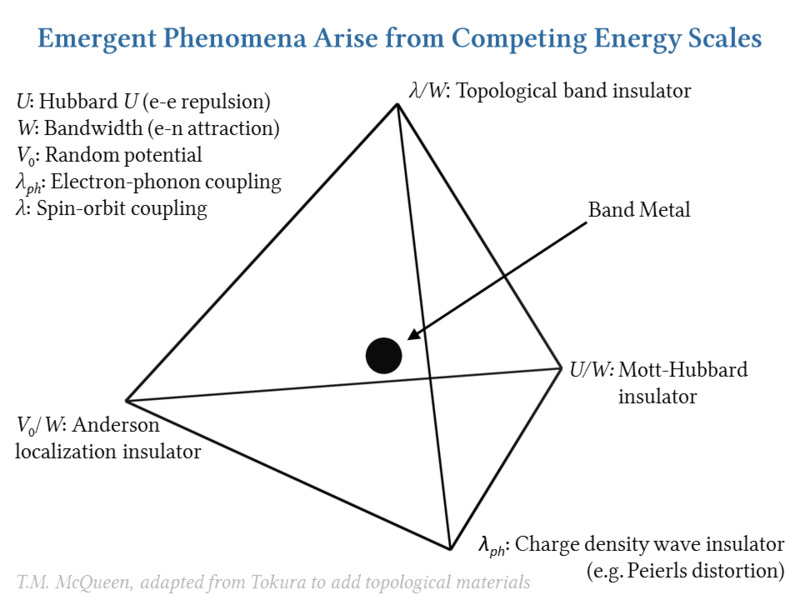 We then apply the synthetic tools and chemical insights we develop to advance fields with long-term potential to drive major changes in technology, including superconductivity and quantum computing. We also make discoveries that are driven by the new chemistry we develop: for example, materials that harbor a long-sought quantum spin ground state known as a spin liquid, and others that increase in symmetry on cooling (a prima facie violation of chemical principles). Pushing our understanding of how to design better materials with specific functions.